Well, 2013 has officially come to an end. Looking back, I think it was a pretty good year, filled with the laughter and company of good friends, eating some great food and enjoying time with our families and loved ones. Best of all, new memories were made! The good folks at Google+ sent me this awesome look back at the photos I’ve taken and shared over the year! It was fun to see all the things we planted, made and ate over the year! I wanted to share a few photos from our home. 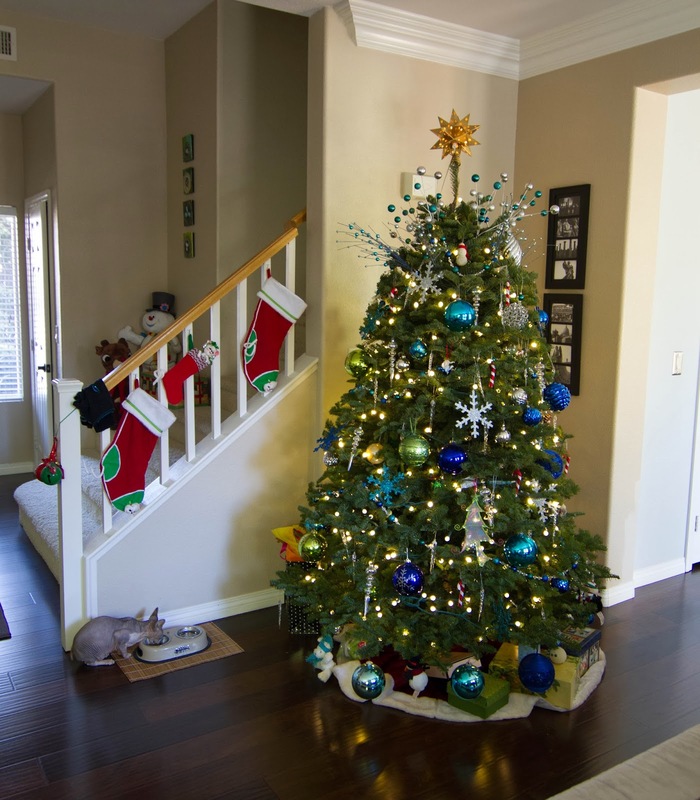 Here’s a photo of the Christmas tree and that’s my cat Sophie having a snack! 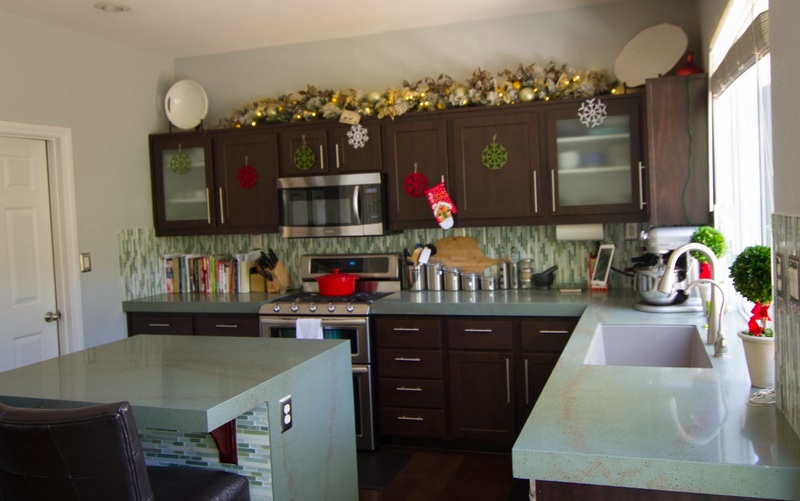 Christmas is one of our favorite holidays (somehow, I don’t think we’re alone in this) and I had a lot of fun decorating the kitchen this year. 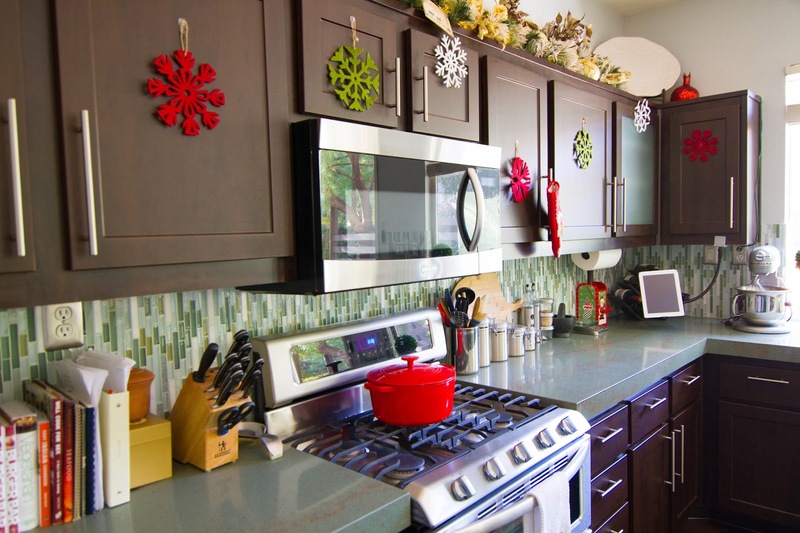 Since I spend a lot of time in the kitchen anyway, it was nice to see it so festive all month long! 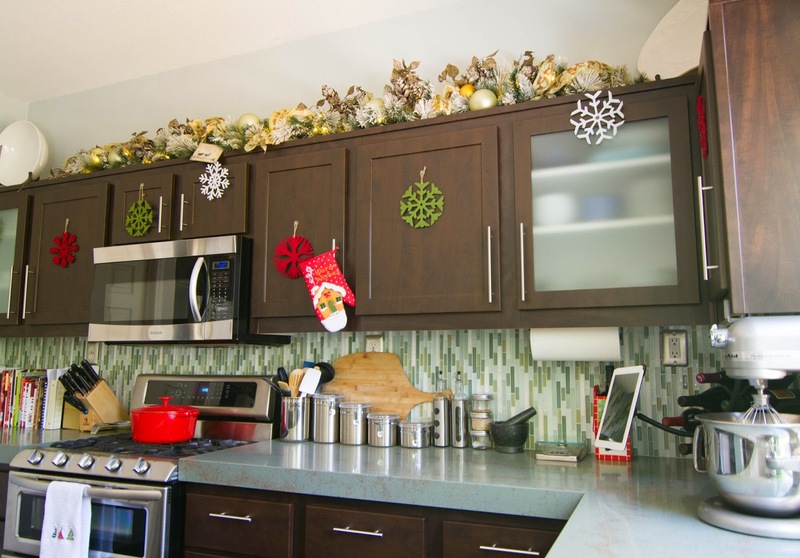 The garland above the cabinets is one of my favorite things! 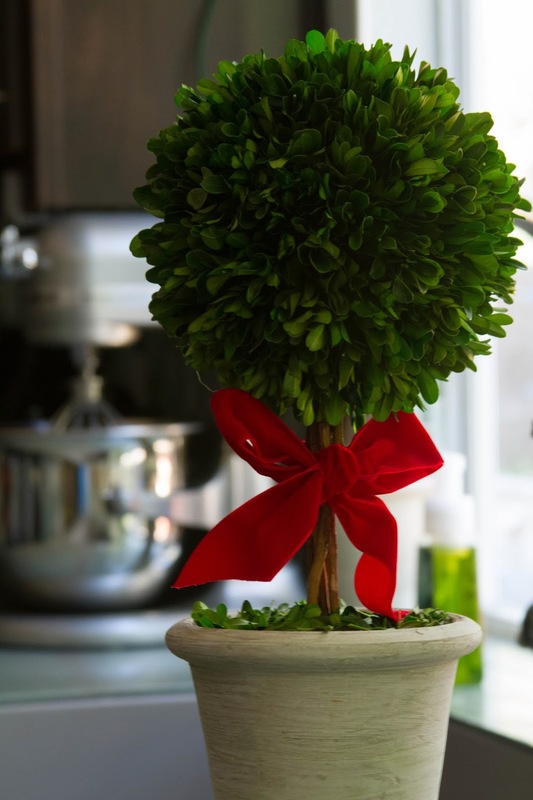 I love this little topiary so much that I think I”ll just take the ribbon off and use it year-round! Also, see that shiny metal object in the background? That’s one of my Christmas presents! A Kitchenaid Mixer! This is such a game changer, and this next year is going to be The Year I Learn to Bake! 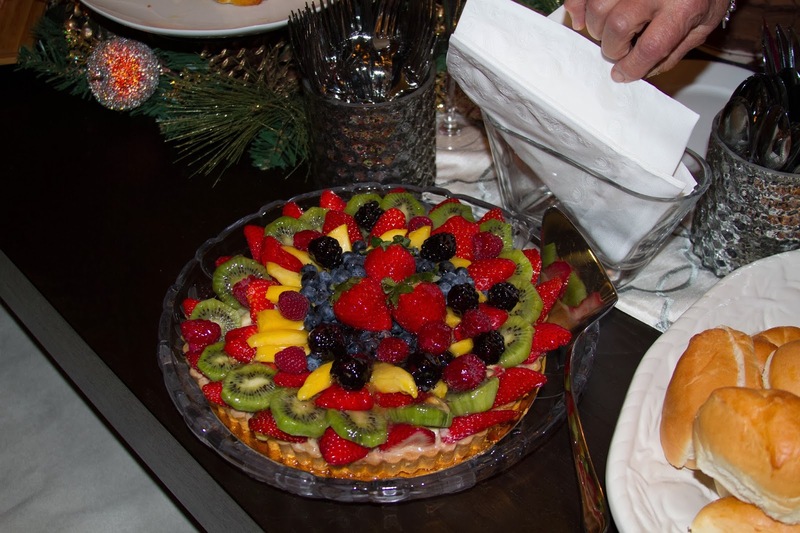 We also did a lot of entertaining over the holiday! 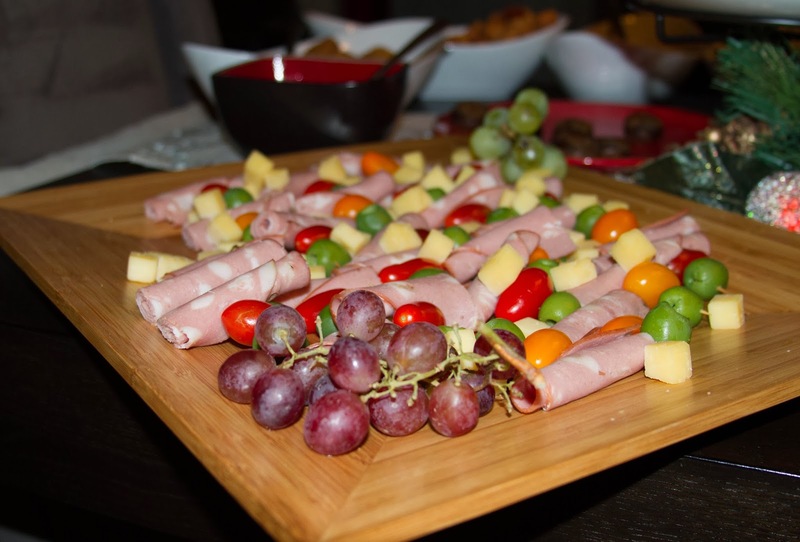 These photos were taken from our our holiday cocktail party! Lots of food was eaten and we discovered the Best Punch Ever! I am not kidding you, this Fish House Punch from my favorite blog, Alexandra’s Kitchen, is truly epic. I don’t think I’ve ever had so much fun at a party, and to boot, it seemed to give me wild energy all night! 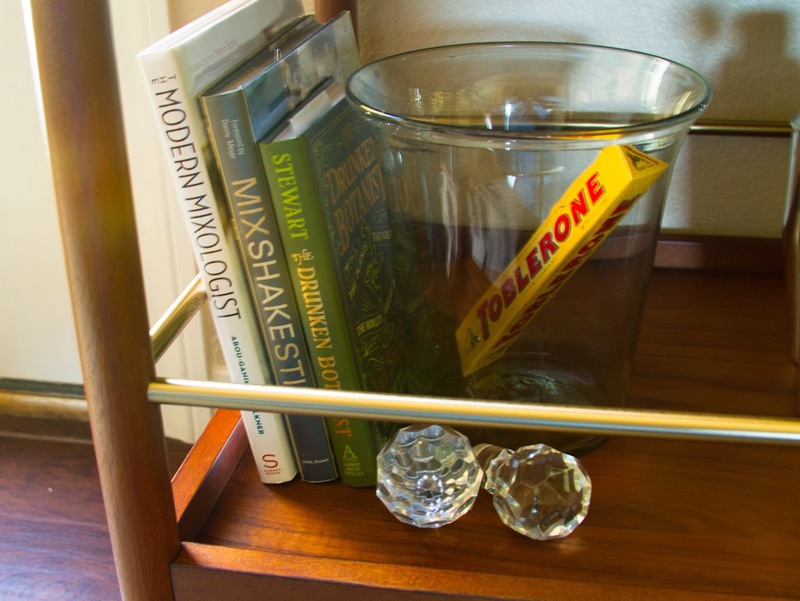 I don’t understand why this happened, because normally after one glass of any cocktail, I am down for a nap in minutes–but not this one! I didn’t get to sleep until nearly 2:00 a.m.! I promise it doesn’t contain any Red Bull! 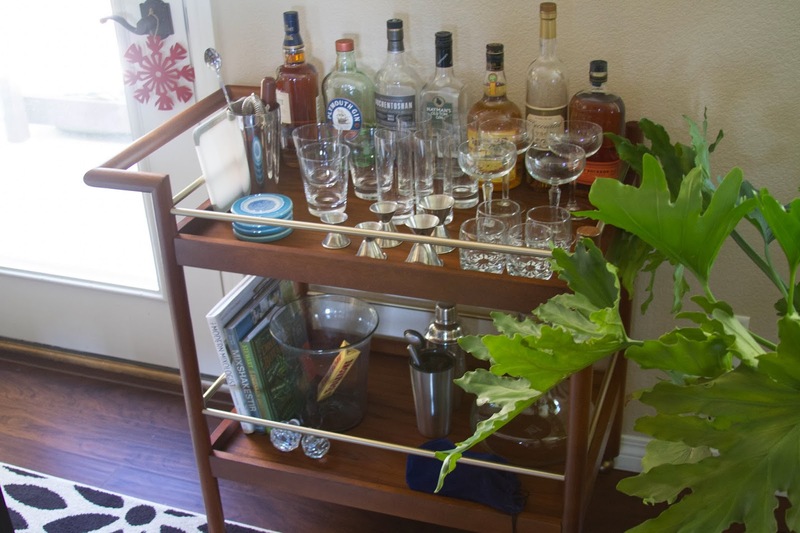 Santa came down our chimney in the wee hours of Christmas and brought this awesome bar cart! 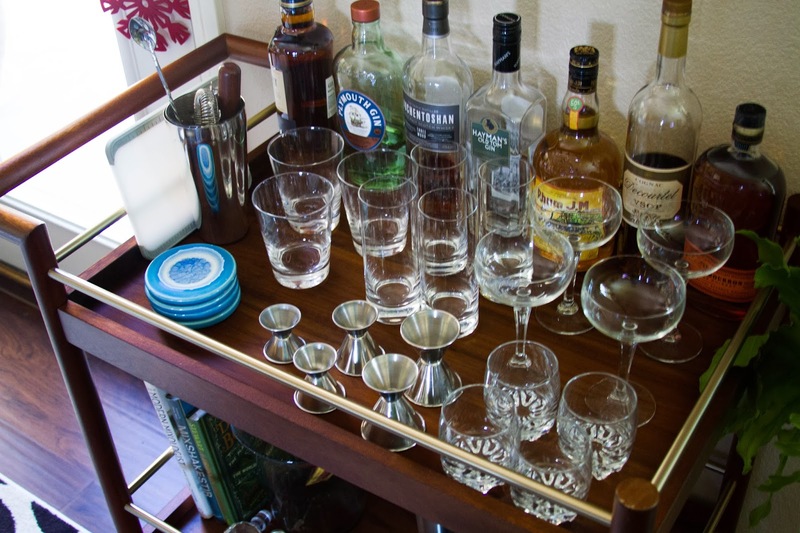 I think we should start having some Mad Men-style cocktail parties in the living room from here on! 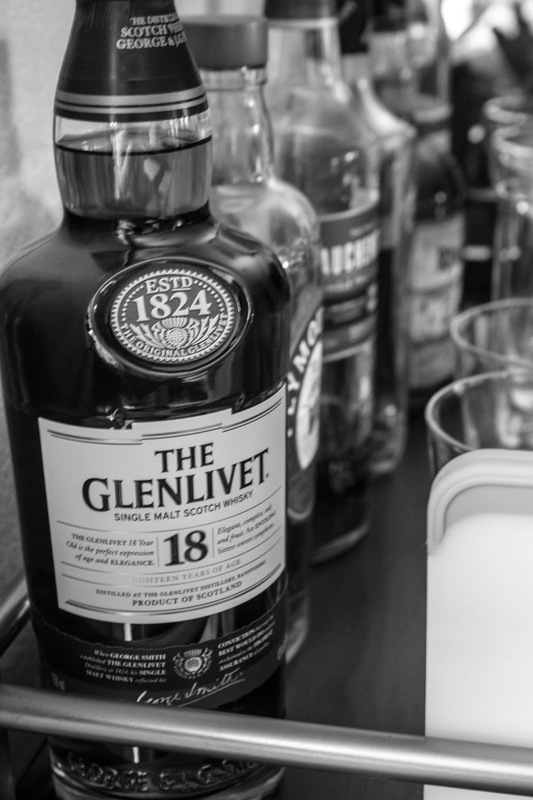 And then there was the Glenlivet 18-year Scotch. Apparently Santa thought we were pretty darned good this year! It’s now time to take all of the Christmas decorations down and then embark upon my customary January organization blitz! 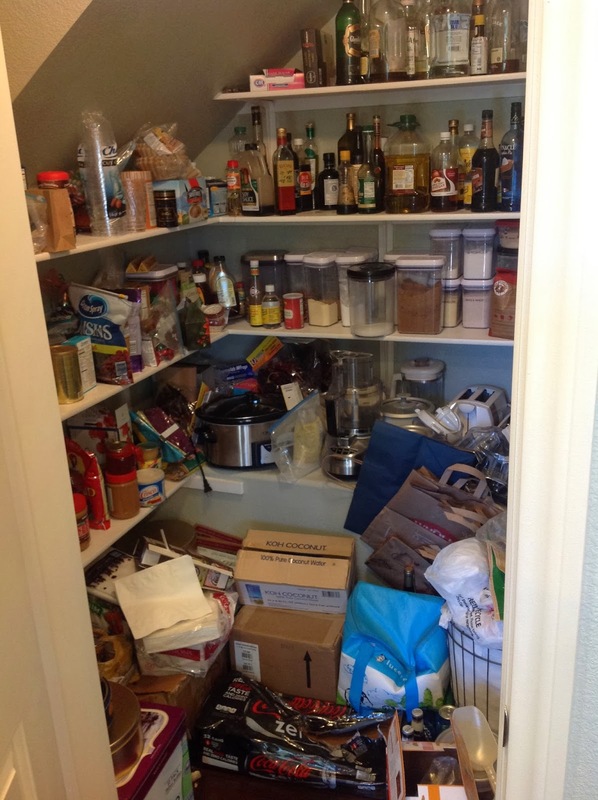 First off, the pantry, which has become a disaster of epic proportions! I am so ashamed; but, I will take a photo of it when it’s done! I hope each and every one of you had a wonderful holiday season! 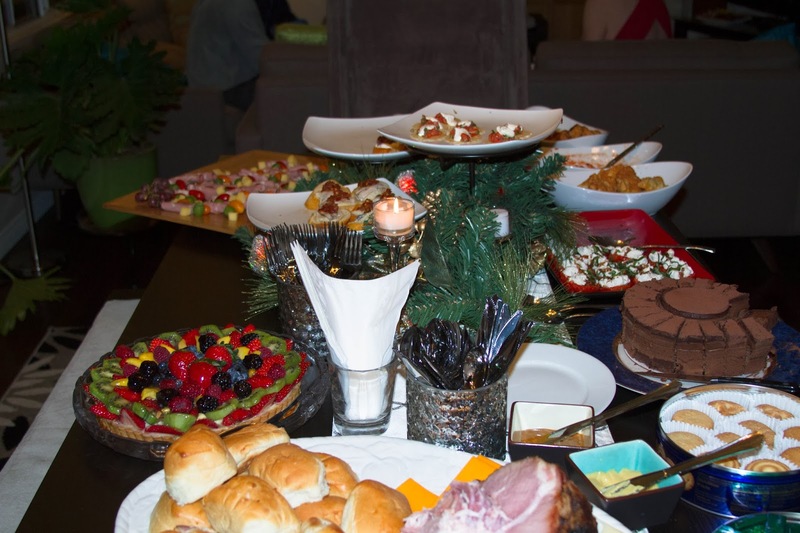 Here’s to a fantastic 2014 and may your lives be filled with cheer, love, friendship, family and great food!